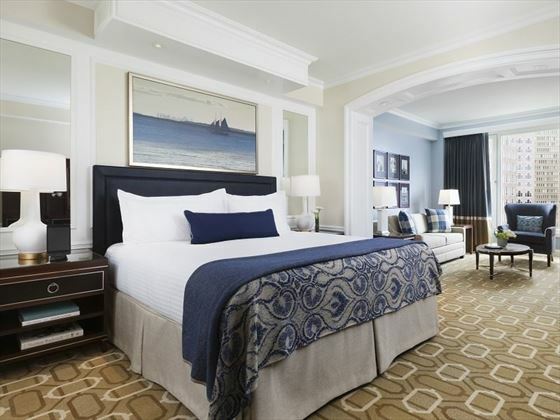 Conveniently located close to the airport and within easy reach of downtown Boston, the Boston Harbour Hotel offers a luxurious place to stay where you can really enjoy the city. Set on the historic Rowes Wharf each room boasts views either over the beautiful Boston city centre or the waterfront. The hotel boasts two great restaurants overseen by Chef Daniel Bruce. With one specialising in fine dining and the other offering fresh seafood you’re spoiled for choice – you can also select from a lovely 24-hour in-room dining menu. If you’re looking for something different you can choose from the huge range of restaurants nearby. You’re in easy reach of the famous Freedom Trail, the New England Aquarium and a number of great museums and art galleries. Spend your days enjoying the best of Boston with the home comforts of a luxury room to return to in the evening. Based on Boston’s beautiful waterfront at Rowes Wharf, you’re ideally positioned to enjoy the nearby sights and attractions of the city. 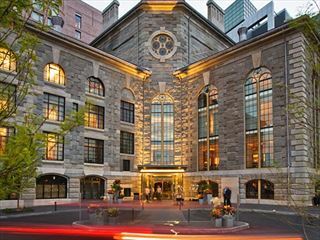 A stylish and elegant five-star hotel at the heart of Boston's trendy Beacon Hill district. A great choice for couples looking to experience this beautiful city.